Cette traduction a été gracieusement réalisée par un membre de la DDME à l’intention de nos voisins anglophones. The Charente-Maritime, the second most preferred tourist destination for the French (according to a Kantar TNS study), is increasingly worried by the proliferation of wind turbines across its landscapes, from the hills of Saintonge to the Gironde Estuary, and is trying to say: Stop. This past Friday, the Charente-Maritime Regional Council, headed by Dominique Bussereau (formerly of the Les Républicains party) voted in principal to establish a two year moratorium freezing all wind farm projects on its territory. Since the French State would have the ultimate word in the matter, it has little chance of being enforced: “It would be seen by some as a sign that the government has retreated from its support of land-based wind farms,” says the General Secretary of the prefecture, Pierre-Emmanuel Portheret. And yet, following the Hauts-de-France region – presided by Xavier Bertrand (an ex-member of Les Républicains), who says he also wants to halt any more wind turbines after the 1,500 already on his territory – we are certainly seeing a resistance to wind energy development from northern France to the country’s Atlantic coastline. Nobody in the Charente-Maritime seems to agree on the number of wind turbines already functioning on the territory or the number still at a planning stage. According to prefectorial or departmental sources, the Charente-Maritime has between 71 and 81 functioning wind turbines distributed over 13-15 wind farms. If you add the wind farms that have been given the green light but not yet built (representing more than 130 wind turbines), and the projects still at a planning stage, there will be between 300 and 475 additional wind turbines added across the department. “Our anger reached a boiling point when EDF announced their plan to install 40 industrial wind turbines along the Gironde Estuary, a territory the department has been protecting these past 20 years; where we have established highly sensitive nature zones, recreational areas, and where we’ve worked to reintroduce the sturgeon [to its waters],” explained Dominique Bussereau to Agence France-Presse. The wind turbine equivalent of the Yellow Vest movement? A two year moratorium would provide the necessary time to “establish a departmental blueprint for sustainable energy development, and explore the various renewable energy options for the region. We’re counting on significant solar and tidal [underwater] energy,” says Bussereau. 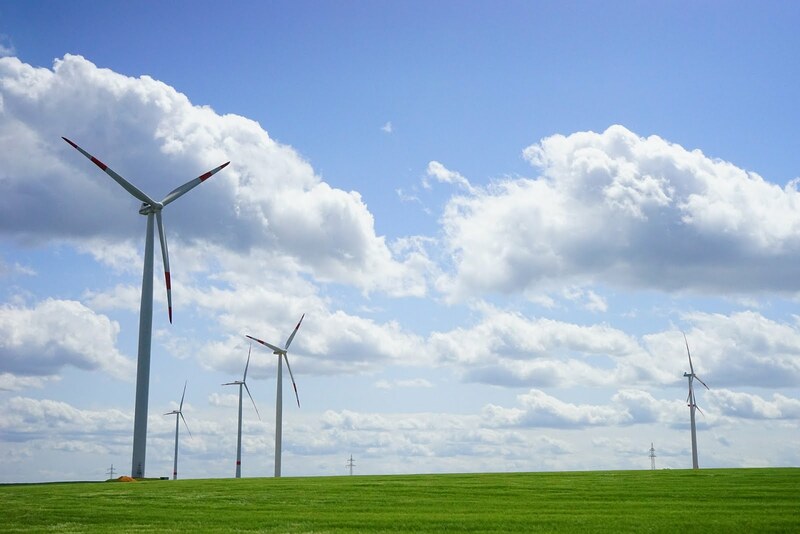 In 2017, the courts annulled the 2012 wind farm blueprint for the ex-Poitou-Charentes region that had been drawn up by the head of the department, Ségolène Royal. This resulted in numerous promoters diving into the ensuing “vacuum”. The judges based their decision on the absence of preliminary studies regarding the environmental impact of the 2012 blueprint. But not everyone is in favour of a moratorium, and for various reasons. Those on the political left, while acknowledging the spread of wind farms, say that “We’re going to lose two years. It would be preferable to proceed with various projects, while keeping our citizens informed,” says Pascal Ferchaud, mayor of Saujon and member of the PRG (Parti radical de gauche). According to the LPO (League de la protection des oiseaux, the French partner of BirdLife International), the “real issue” is the avoidance of wind turbines by birds, depending on their concentration. “Birds are able to avoid five wind turbines. But when there are 80, we see a real impact,” says Geoffroy Marx, the LPO representative for the Charente-Maritime. He says that, for the moment, the department has approached wind farm development in a principled manner by avoiding Natura 2000 zones that were established for the protection of the region’s avifauna. On a local level, one sees more and more anger. In Villeneuve la Comtesse, home to 700 inhabitants and where a project involving 15 or so wind turbines is being held up in court, “We’re a step away from becoming the wind turbine equivalent of the Yellow Vests!”, rails Michel Soulard, president of the local association fighting the wind farm project. “From my window, looking towards the west, I would see 12 industrial wind turbines; to the east, six. And 900 meters from where we are,” says, with anger, this owner of a 15th century chateau.